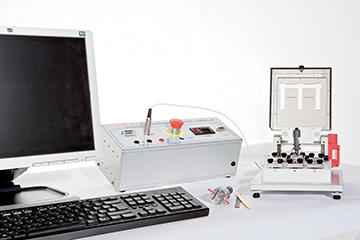 Automatic instrument for the measurement of electrical resistivity of semi-conductive rubber and thermoplastic. 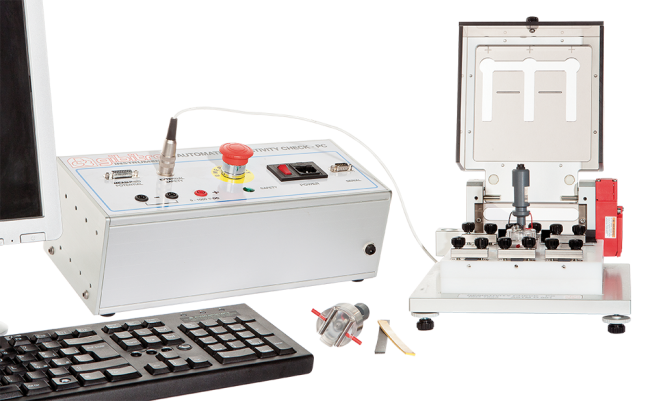 The instrument is available with sample holders in compliance with ISO 1853 or ASTM D 991. The instrument applies tension to the ends of a test-piece and measures the difference in potential which is generated between two electrodes at a specific distance. The power source automatically regulates the tension depending on the resistivity of the test piece to maintain the current transmitted in the test piece within the tolerance limits established by standards. The power source also measures the tension between the measurement electrodes applied on the samples. The power source transmits the data to the PC using Serial/USB cable. Three samples can be mounted on the sample holder. The sample holder with the samples can be placed in a thermal chamber for the conditioning of the samples. Samples may have 10 or 20 mm width and 50 or 100 mm length. The sample holder has a transparent plastic cover fitted with a safety device. 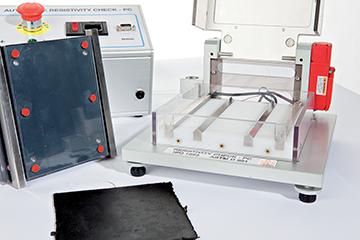 The grooves in the cover permit to carry out more tests on the same test-piece without interrupting the power supply. Two electrode holder supports are supplied with weight as per standards and distance between electrodes of 10 and 20 mm. Power supply electrodes with 60 mm distance. Protected with a transparent plastic cover fitted with a safety lock. 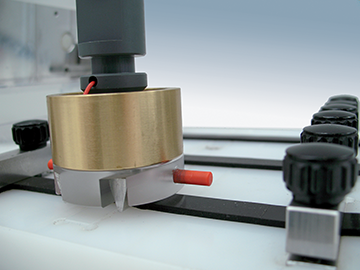 - Guided measuring in different points of the test-piece and on more than one test-piece. - Preparation of testing procedures according to the standard dimensions of the test-piece and the distance between the electrodes to be used. 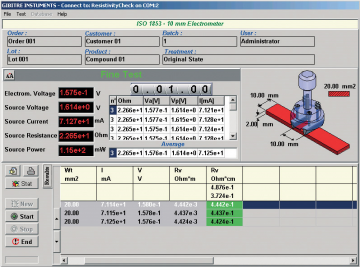 - Input of actual dimensions of the test-piece for correct calculation of the cross-section. - Checking of whether results comply with tolerance limits and relative statistical analysis (Mean, St.dev., Max, Min, Cp, Cpk). - Storage of test results in a standard database. - On-line selection of the software usage and report printout languages among the available ones (see table). The instrument and the software have been specifically developed to optimize integration with other environments. 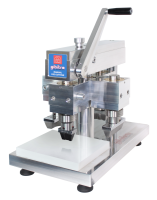 The database in SQL format and the Gibitre_Company_Connect program allows you synchronize your company management software with Gibitre database and to speed up the identification of the tests and to use bar-code readers or similar devices. 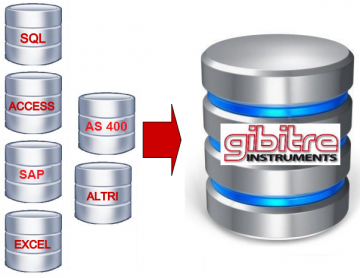 The automatic logging service permits to send alarm information to the cloud-service platform of Gibitre Instruments in order to optimize the reaction times of the Service Support.